(CNN) -- The former beauty queen stared into the camera, but this was no pageant or performance. She looked frail and thin, and her hair was rumpled. But Eva Markvoort smiled weakly. "Hello to the world at large," she said in the video. "To my blog, to my friends, to everyone. I have some news today. It's kinda tough to hear, but I can say it with a smile." Propped in a hospital bed, Markvoort sat surrounded by her family. "My life is ending." "I've loved more than you could possibly think." Markvoort, center, with friends in her hospital room. 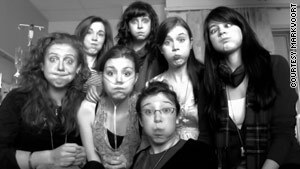 The blog's name 65_RedRoses, originated from her childhood inability to pronounce cystic fibrosis; she, as have many other children with the disease, called it "65 roses." Markvoort added the word red because it was her favorite color. Markvoort was the subject of a Canadian documentary also called "65_RedRoses." It showed her harrowing experiences with the disease: violent coughing, vomiting, IVs, the painful procedures that made her scream. Her dreams: "Stepping out of this room ... skipping down the street breathing free, free." 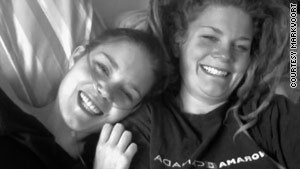 The documentary followed her as she waited for a double lung transplant and as she formed online friendships with two American girls who have cystic fibrosis. 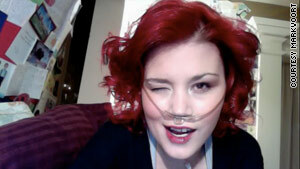 The film ends on a happy note: Markvoort got her lung transplant and appeared to be on the road to recovery. But less than two years later, her body began rejecting the organs. Her lung capacity dwindled, and every breath became laborious. Sometimes, her blog posts were raw, filled with "episodes of projectile vomiting, hours of gasping for breath, waves of nausea lulling out into hours of sleepiness." "I'm drowning in the medications," she wrote. "I can't breathe." Initially, Markvoort's mother, Janet Brine, said, her daughter's openness made her feel uncomfortable. "We connect differently than your generation. I'm part of the digital world," Brine recalled her daughter telling her. The constant theme in Markvoort's blog is love. In a video entry where she talks about her impending death, Markvoort said: "I think I'm very lucky, because I've loved more than you could possibly think, could possibly imagine. So I'm celebrating that: celebrating my life." Markvoort grew up in a suburb of Vancouver, Canada. Girly to the core, she dyed her hair red and loved outrageous fashion like pink boas, polka dot dresses and striped knee socks. She was crowned a beauty queen (of New Westminster, a suburb of Vancouver) and attended University of Victoria, hoping to become an actress. "Hope resounds. I am not dying. I am living living living more each day." Markvoort is seen here with her sister, Annie. But she couldn't pursue that career because of her unpredictable health. "But she has found other ways to have that artistic outlet, and writing the blog is one of them," her mother said. 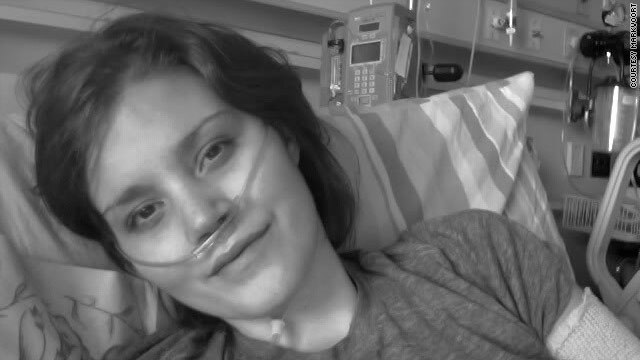 She championed cystic fibrosis awareness and organ donations. From Los Angeles to Poland, letters, stuffed animals and cards poured into her hospital room. "I felt so selfish when I stumbled across your [LiveJournal] on here, because I've been smoking cigarettes for years, taking my lungs for granted. You helped me quit the worst habit I've ever had," one wrote. When Markvoort was too frail, she dictated blog posts to her friends and family. "She had already processed the concept of dying," her mother said. "And for her, she came to terms with it quite quickly. For her it was like, 'Oh, my gosh, I don't know how much time I have. I have things to say.' There was a sense of urgency on her part." Sometimes, her posts have no words, just pictures of her and her loved ones, with their eyes crossed, tongues sticking out and comical gestures. "This is the end of my life, but it's not the end of my love," Markvoort said in a video entry. She died the morning of March 27.